Before we get into the health benefits of blackstrap molasses, let’s first talk about what it is and how it differs from other types of molasses. Molasses is made from the liquid created by crushing sugarcane. Boiling this liquid results in cane syrup or light molasses. Boiling it a second time results in dark molasses. The third boiling is what makes thick, dark blackstrap molasses, which contains less sugar (which has no nutritional value) but retains many valuable vitamins and minerals such as vitamin B6, zinc, copper, potassium, manganese, magnesium, calcium, selenium, niacin, and TONS of iron! What’s the Difference Between Sulphured and Unsulphured Molasses? Sulphur dioxide is often added to molasses as a preservative to keep the liquid from fermenting. Sulphured molasses is less sweet than unsulphured and is considered is considered less healthy due to the added preservative. What are Some Health Benefits of Blackstrap Molasses? Blackstrap molasses is a great natural sweetener with a moderate glycemic load (55). The American Diabetes Association classifies any food with a GI of 55 or less to be considered “low”. While diabetics still need to be careful with this, it’s definitely a better sugar alternative than refined sugar and a healthier alternative than artificial sweeteners! Women lose a certain amount of iron during their menstrual cycles. This iron deficiency can contribute to the typical symptoms of PMS that women often encounter such as irritability, depression, fatigue, headaches, and insomnia. Additionally, vitamin-rich blackstrap molasses helps prevent the blood clotting which is responsible for menstrual cramping. Try drinking a teaspoon of blackstrap molasses dissolved in a cup of warm water to help relieve cramps. Low magnesium levels can often lead to constipation, so it’s no wonder then that magnesium-rich blackstrap molasses can help your digestive system get back on track. Magnesium helps to draw water into the stool, making for easier bowel movements. Try 1-2 tablespoons mixed with warm water to relieve constipation. Back in episode 33 of the podcast, we talked about reasons to give up dairy (dairy is not as healthy for your bone health as originally thought…in fact, recent studies that show it may actually be very bad for bones). Fortunately, there are other foods that contain the calcium, vitamin D, and magnesium you need for a healthy skeleton, and blackstrap molasses is one of those foods! A YouTube search for “blackstrap molasses” pull up several videos claiming that regular use of blackstrap molasses, either by direct application to the hair or through regular consumption, has helped restore hair and even reduce or reverse graying. While much of this is anecdotal, if you plan to make blackstrap molasses part of your regular diet, it’s worth noting this as possible benefit. Personally, I’ll stick with consuming it versus pouring it in my hair! Iron deficiency is a very common cause of anemia which, if left unchecked, can lead to serious health issues. The high iron content of blackstrap molasses makes it a great way to help return iron levels to normal. Many adults and children who suffer from ADHD and ADD have been shown to be nutritionally deficient, particularly in zinc, magnesium, calcium, and iron. Enter blackstrap molasses! In addition to being nutritionally loaded, the fact that it is moderate to low on the GI scale means less of a sugar spike, which can also contribute to hyperactivity. Is There a Downside to Blackstrap Molasses? While blackstrap molasses is a great natural sweetener and a source of some essential vitamins and minerals, those with diabetes do need to consult their doctor before making it a part of their regular diet. Additionally, since blackstrap molasses can be used as a laxative, consuming too much can lead to digestive distress, including diarrhea. To help limit any adverse side effects, start by consuming a small amount and working up to 1-2 teaspoons per day. What are Some Great Ways to Consume Blackstrap Molasses? The easiest way to consume blackstrap molasses is straight up. Try adding some as a drizzle on toast or a salad. You can also try adding some to a glass of non-dairy plant milk or warm water. Looking for something to sweeten up that smoothie? Try adding a tablespoon or two of blackstrap molasses to your favorite smoothie or try out this Iron Woman Gingerbread Smoothie fromOh She Glows. 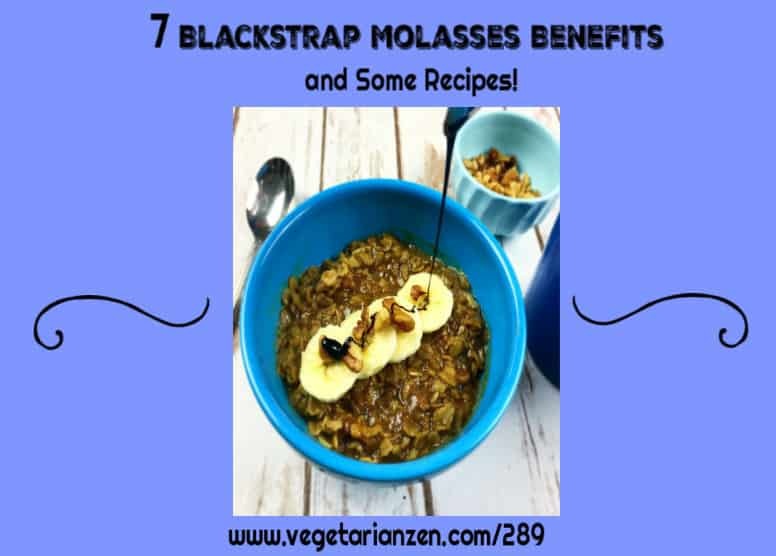 There are so many recipes in which you can substitute blackstrap molasses in place of molasses. Muffins, cookies, and pies are great ways to try this. Here is a recipe from The Connoisseurus Veg that looks amazing — Peanut Butter Oatmeal Blackstrap Molasses! Speaking of oatmeal, another great way to consume blackstrap molasses is in oatmeal. Use it in place of refined sugar to make your healthy oatmeal even healthier! Have you tried our blackstrap molasses oatmeal recipe yet? A block of tofu is just waiting for a great marinade to make it something amazing. 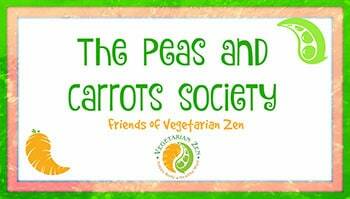 Check out this recipe for Vegan Blackstrap Tofu One Green Planet that looks Yummy-licious! Looking for a tasty and healthy batch cooking recipe? Try these vegan baked beans from A Virtual Vegan. Sweet, smoky, slow-cooked beans are the PERFECT comfort food! We hope this article has inspired you to look for ways to incorporate blackstrap molasses into your diet. If you have a favorite blackstrap molasses recipe, please leave a comment below. 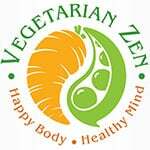 The Shop at Vegetarian Zen for all of your Veg Zen swag! Question: Have you tried Blackstrap molasses and if so, what’s your favorite recipe? 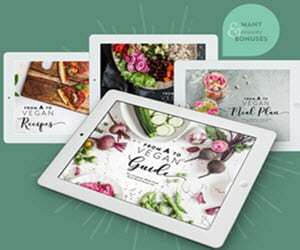 Previous Post: « VZ 288: 8 Awesome Vegan Baking Tips and Some Yummy Recipes!